The transducer, consisting of a special sensor, is heated proportionally to the incident solar radiation, absorbed by a special black paint covering the surface of the measuring element. Available with accuracy 10W / sqm or 15Wmq. Global solar radiation transducer consisting of a special sensor, is heated proportionally to the incident solar radiation, absorbed by a special black paint that covers the surface of the measuring thermoelement. 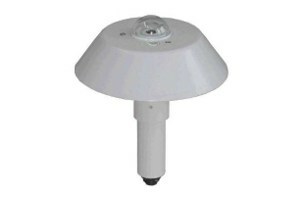 Available with accuracy 10W / sqm or 15Wmq.